Very nice article. I haven’t traded in the Puca economy, but it seems that the fundamental problem is that you have an increasing monetary base (which creates inflation) and no ability for prices to adjust in the Puca market, since they are pegged to the the TCG price. If prices were able to adjust within the Puca market, I think you wouldn’t see the problems with the card shortages that you’re currently seeing. The other suggestion I have is for the “Trade Guarantee” to instead be an insurance program that the seller or buyer has to opt in for, at a nominal charge of Puca Points. This would stop the “free money” from being injected into the economy. I really like the idea of being able to purchase premium accounts with points. Good article. I’ve been enamored with Puca lately and having good experiences. It’s good to hear all sides. I have been thinking hard able how to pull value from my Puca points, beyond the smattering of cards for my personal collection. I enjoyed your article. I’m not particularly concerned about inflation at this point, as I price the possibility into my decisions. PucaTrade gives me the ability to trade cards for much more than I would receive at buy list from a dealer, and to trade cards that have no takers where I live. I’m willing to take small losses in the value of my “currency” in exchange for the convenience. You might also wish to consider the liquidity of PucaPoints when you consider their value vis-à-vis USD. We should expect there to be a discount simply because it isn’t convenient to get from points to cash. How much of the discount is caused by inflation, how much is caused by inconvenience? It might be worth trying to tease these things apart. >You might also wish to consider the liquidity of PucaPoints when you consider their value vis-à-vis USD. My impression is that PucaPoints are fairly liquid… but they could definitely be moreso. If I had the web development chops, I’d look into creating a PP USD market site in the same way that people have done for MTGO Tix USD. I definitely think there’s an opportunity there. 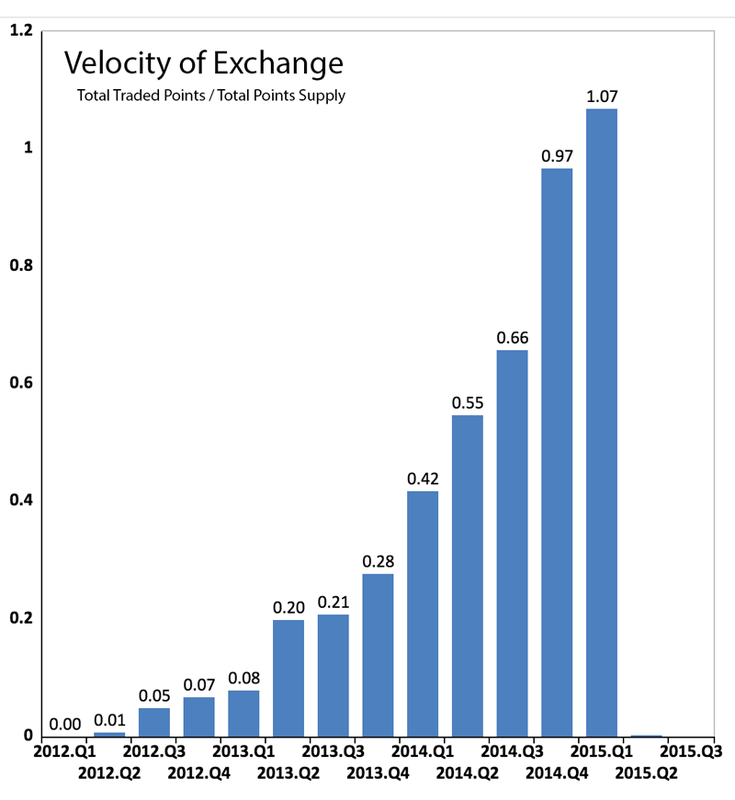 But in any case, I don’t think the change in the price of PucaPoints over time can be attributed to changes in liquidity. >PucaTrade gives me the ability to trade cards for much more than I would receive at buy list from a dealer, and to trade cards that have no takers where I live. Yeah, just keep in mind that part of my point is that there’s a growing list of cards that you can’t reliably trade towards on PT. NM Duals are basically impossible to get at face value, and I’ve noticed in the past week or so that KTK fetches (!!) have become very very difficult to acquire ever since the ZEN fetch announcement. These problems will likely continue to deepen if the trajectory I’m predicting is correct. True, it does seem that the “aspirational” cards have large queues at this point. In the past, though, those have been difficult to trade up to in any case. PucaTrade has allowed me to trade small cards into medium cards without any problems. From what you claim, this should cease to be possible, as any desirable card becomes a refuge for points. But in what time frame? Mr. Twieg, As an employee of PucaTrade, I want to address a few of the unfounded claims you’ve made in the article. 1) I doubt very much that you bothered to try to interview or speak with anyone at PucaTrade, outside of making a post on Reddit. The only data you have comes in the form of a chart from Eric Freytag, which actually runs counter to your conclusion, and which you dismiss. 2) I don’t think you understand the 100% Trade Guarantee. It is NOT always the case that when packages don’t arrive, points are freely given out. In fact, many users are out of luck, but we try to be nice to ones who are traders doing things in good faith, and we insist on using tracking for expensive packages. In fact, many users are warned or banned for having repeated misbehavior or a suspicious number of lost packages. You claim that this factor is probably “more important” than the other ones in increasing supply into the economy, and you say you are “very confident,” but don’t have a smidgeon of data on that, and I don’t think you’ve ever tried to get it before making your claims. 3) Your argument seems to be: there is inflation, so therefore, it’s only a matter of time before the monetary system collapses. Would you say the same thing about the US dollar when there is 3% inflation? Of course not. Policy changes regarding the economy are always possible, including ones that take money out of the system. The free user bonuses for new users might eventually stop if we feel that we need fewer PucaPoints in the system, for example. 4) You claim to “love PucaTrade” but assert that the functionality is flawed because of economic issues — despite all evidence to the contrary that trades are taking place at a record pace. The chart here is highly instructive. Way more trades are taking place now, and PucaTrade is a vibrant trading community. If the PucaPoint is too high, people are very reluctant to request bulk and low priced items, and it becomes hard to move those — that was the case in the early days, and you can see the result on the chart. 5) Your claims about the dream of getting Force of Wills is dying are just completely and utterly wrong. Every month we release the top trades for every one to see — last time, we had 29 Force of Wills traded in one month. In addition, we have more and more of the Power 9 Traded – so far, we’ve had Mox Sapphire, Black Lotus, several Mox Emeralds, Mox Jet, Mox Ruby, Mox Pearl, and Timetwister traded, I believe. 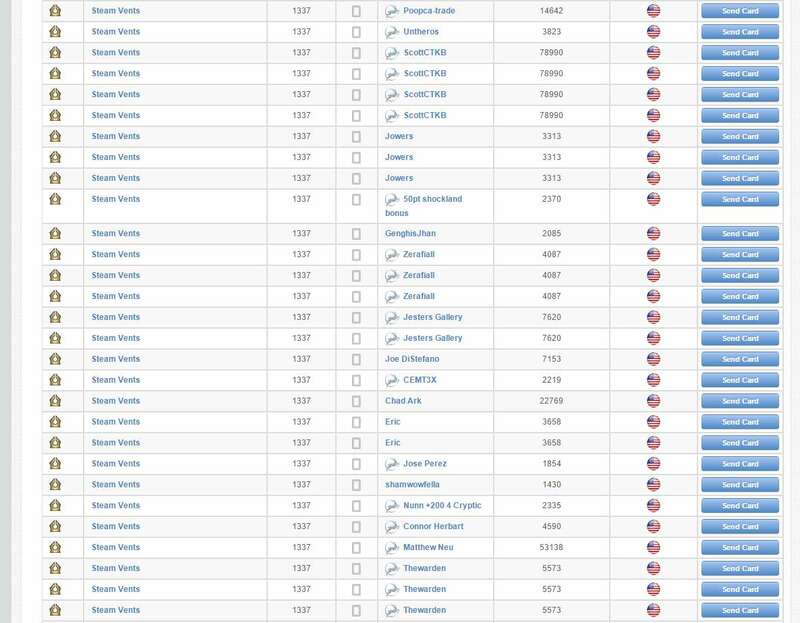 During the last month we had 28 Revised blue dual lands traded (Tundra, etc. ), as well as some from Alpha and Beta! I hope that the average reader here doesn’t buy into your inaccurate conclusions. PucaTrade is better than ever, and we will continue to work to make it improve even more. >1) I doubt very much that you bothered to try to interview or speak with anyone at PucaTrade, outside of making a post on Reddit. I hadn’t. I try to qualify some of my assumptions accordingly. Would someone want to converse with me directly on this? I can be contacted at twiegp@gmail.com. >You claim that this factor is probably “more important” than the other ones in increasing supply into the economy, and you say you are “very confident,” but don’t have a smidgeon of data on that, and I don’t think you’ve ever tried to get it before making your claims. PucaTrade can provide data proving me wrong if they’d like. I’d be happy to see it. That’s part of why I wrote this article – if it turns out that any of my assumptions are wrong, I’d be happy to correct it. I don’t feel like I characterized the guarantee, though. I mentioned that the sender has to achieve some due diligence requirements to be eligible for reimbursement, and this implicitly refers to a lot of the specifics you mention. >3) Your argument seems to be: there is inflation, so therefore, it’s only a matter of time before the monetary system collapses. Would you say the same thing about the US dollar when there is 3% inflation? Of course not. Policy changes regarding the economy are always possible, including ones that take money out of the system. The free user bonuses for new users might eventually stop if we feel that we need fewer PucaPoints in the system, for example. If the currency was becoming devalued by 3% every year in an economy where all prices were fixed, this would in fact be a serious problem. I’m very clear in this article in saying that it’s the combination of fixed prices and currency generation that are jointly creating this problem. >4) You claim to “love PucaTrade” but assert that the functionality is flawed because of economic issues — despite all evidence to the contrary that trades are taking place at a record pace. The chart here is highly instructive. Way more trades are taking place now, and PucaTrade is a vibrant trading community. It is. And as I said, I believe that PucaTrade is growing and vibrant *despite* these underlying issues, and that its growth and vibrancy should not distract from their importance, especially in the long term as PucaTrade’s growth spurt inevitably tapers off. >Your claims about the dream of getting Force of Wills is dying are just completely and utterly wrong. Every month we release the top trades for every one to see — last time, we had 29 Force of Wills traded in one month. This is perfectly compatible with the dream dying. If the site is growing, then individual cards can see higher transactions volumes while becoming more-difficult to acquire for the typical user. If you want to prove me wrong on this point, for this one card, show me how what share of PucaPoints are transferred on FoW transactions over time – is it declining? You can query this data, I’m sure. If I’m wrong, this is a clear way to show me. I’ll also add, regarding the FoW point, that as my article outlines a lot of high-value cards are being traded with bounties or for non-NM copies. These things are probably not tracked in PT’s own data, so there’s an important caveat there – if we see staples traded but on terms that are outside of the default PT rules, this is also a manifestation of the problems I describe. The bottom-line graph that I’d like to see from PT, which I think would be very illustrative, would simply be a cumulative density plot where the x-axis was card values (from 0 to say, 100 dollars) and the y-axis was the percentage of transactions that occurred for cards of the given point value (or possibly % of transactions * the point value). My suspicion is that we would see such a graph compressing to the left over time (particularly at the 30+ dollar range.) If I were wrong on this, I would have to re-evaluate some of what I’m saying. It should be added that the increase in the number of trades of FoW, or any other staple, should be expected considering there’s a growing userbase. However, how does that number compare as a ratio over time? As a user, what is my incentive to trade out a valuable card that has a high level of liquidity on other markets (eBay, TCG, etc.) on PucaTrade instead? If I do, I know I’ll have a large amount of points that I can’t do much with in terms of getting other valuable staples, because they’re in such high demand that it’ll be a very long time—if ever—before I win the lottery of someone sending it to me. I know that I have to offer a “bounty,” as you described it, which inherently devalues my points. So if I know this coming into a sale, I’ll want a bounty on the card I send out to counteract my predicted inflated purchase price of another staple. This, as well as the desire to come out ahead in PucaPoints to make up for my shipping cost, means there will be inflation. In fact, Mr. Twieg, I would be very interested in your thoughts on how shipping costs impact this entire discussion. After all, if senders rather than buyers pay for shipping costs, there is n incentive for senders to try to get more points than the card is worth. Early in the PucaEconomy that wasn’t hear of, but today, where bounties are becoming more and more mainstream, this is now an achievable goal. Perhaps the greatest factor in PucaPoint inflation is actually how the shipping agreement is set up. >In fact, Mr. Twieg, I would be very interested in your thoughts on how shipping costs impact this entire discussion. I don’t think they’re very relevant.. at least not in a direct sense. Basically the existence of shipping costs means that if I’m going to send something out for 2000 PP, then I have to actually value the card at at most 2000 PP minus the shipping cost. Higher shipping costs would lower the transaction volume (since the aforementioned condition would be harder to fulfill), which would slow currency growth from the Trade Guarantee, but…. I don’t think that’s particularly important. I certainly don’t think that the incidence of shipping costs (does sender or receiver pay?) is likely to have an impact here. Peter, great article! I absolutely agree with your thesis and believe that the puca problem is real but has been largely obscured by growth in the site. I also believe there is a second problem which you touched on: people trading up. Because so many people essentially hoard points to acquire bigger staples, you end up with the huge supply side shortage on those cards and a huge demand side shortage on standard cards. I agree that pucatrade should untether points from tcg value. We would probably end up with something resembling buy list prices, where standard cards in particular are very cheap and older staples are expensive. This effectively has happened on older mtg trading sites like MOTL, where people who list trades will only send big cards in exchange for standard stuff valued at 10-25% of retail. Pucatrade probably does not want to go that far, but a slide in that direction might help the problem. I also really like the trade guarantee being paid for by an optional point tax, which would provide a currency sink as michael pointed out. Also regarding James comment: I did try to write this article a year ago and reached out to Eric and the @pucatrade handle to discuss the underlying economics of the site. And I was met with… Silence. I don’t think Peter’s article is that the site doesn’t work at all, just that there are some disturbing trends that may get worse as time goes on. The fact that the site creators refuse to have an open discussion about the underlying economics of the site helps fuel speculation that the gloomier predictions are correct. James, on the USD, I’ve very little confidence in it. In the last 6 years we’ve seen the price of most commodities *double*. Ground Beef used to be $2.15/lb, now it’s well over $4, in some cases $5. Example after example. 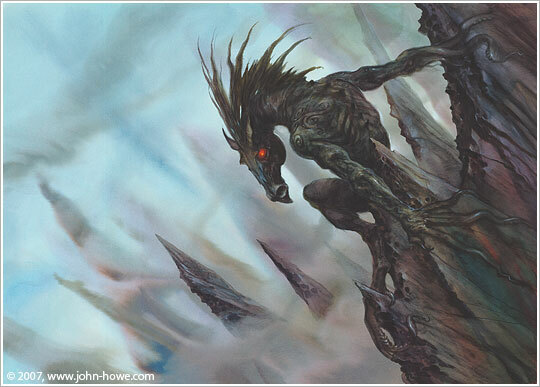 I use Puca (when I’m not breaking down a massive collection and buylisting the non-NM stuff). But the thing with any amount of inflation is, the prices don’t float. 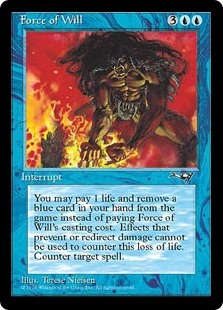 A Force of Will or any other card will always (near as I can tell) be roughly TCG mid x 100 in pucapoints. If inflation happens, then eventually fewer and fewer will be willing to get rid of their FOW’s for TCG mid x 100, instead demanding TCG mid x 120 or something. If the price can’t float, then added currency can cause problems. That said, I actually think, counterintuitive as it sounds, the problem we see in pucapoints right now is an insufficient amount of liquid points. People who want to get cards on there don’t have points, and others are hoping to get bigger cards have points they’re waiting on. In an economy, those who are holding points aren’t actually “holding” it in most cases, they’re investing it in something/someone else who’s using that money for the time being, with the intent of giving them more than their original investment after a period of time. That doesn’t happen in Puca. Maybe that’s an option somehow. Allow people to lend pucapoints “officially” to other members at some interest rate. If I’m sitting on mine, I’ll loan 25,000 points to someone for 3 months with the intent of receiving back 28,000 points from them. And if they can’t cover the points, they have to buy them back directly from puca (or something, I don’t know). I would suggest though that there be some form of “tax” (0.1% or something, not sure) to “pay” for the reimbursement costs of the 100% trade guarantee. Make it on the receiving end perhaps. Considering the receiver doesn’t have to pay shipping on cards sent out, this might actually be a viable cost addition. Great article Peter. I was wondering what you did with all of your draft cards but it looks like now I know! In terms of the article it is a fascinating tip of the iceberg looking at a digital currency. In an interesting way I think we missed a few points, and I’m sure there are many many more out there from a macroeconomic perspective. One point that you make is that the currency is tied to TCG mid prices. In this way it is like what the U.S. used to have in the gold standard. Now, the U.S. Is off the gold standard and is for all intents and purposes a fiat currency. Without a strong central “bank” controlling the levers of an interest rate and pushing against economic entropy the currency is left to the shifting waters of capitalism run amok. I’m not an economist but it would seem to me that having a money sync is essential for a stable currency – the fed does this time and time again. It purchases money from banks businesses and other governments. You also need a stable inflation rate as well so you don’t have seismic swings in interest rates…. I think one of the biggest successes in digital currency is the system employed in world of Warcraft. I’m not sure how they nailed the stability of it all but I don’t think it can be particularly useful in describing how the trading economy works with Magic. Anyway. I don’t have any solutions. And I don’t use the site yet because I don’t have enough time to do all that is required but it would seem to me that PT needs a point sync system in conjunction with a way to manage the inflation trends so they can pull the levers of the economy appropriately. Knowing that MC = MR is almost never feasible we need to take part in an economy where we have trust in the central “bank”. While that metaphors brings up other discussion points the issue of will the site be a stable platform for people to enjoy their hobby is salient one. Just a bunch of random throats from a hobbies the with an MBA. Great article! I thoroughly enjoyed it! Now this is a well written and well explained article! Understanding it is an hypothesis, the business and economic side of the coin was a great read. It was sound and, I find, in now way condescending to the Puca model. PucaTrade is a great outlet for financial traders to rid themselves of cards when all else fails. I currently use it to offload foreign cards, which have an important currency arbitration associated relative to local markets. This allows me to trade off cards at a higher price when the € is close to par with the US$. One note : it is already common place for folks to pay above asking price on Puca, the inflation seen in selling points is already creeping into trades. I believe their is another form of “silent” attributers in the puca-economy. Although you’ll always have your fetch-FOW demand and other Modern/ Legacy staples. It is important to note the casuals that still buy up “casual cards” “bulk” if you will, for the reason for shear entertainment purposes. EDH, Cubes, etc. They’ll impact pucatrade just as they have in many ways given some users enough points to sell up into staples. This of course is pitted against the supply and demand of the users on the site, but it is something that I think will impact pucatrade’s website in the long run. If puca-“sharks” and selling up users become the dominant user-base of pucatrade, and the casuals leave, then their will be a problem. It’ll be fetch-for-fetch or other equal value card and it will reach a point where you won’t be able to obtain FOW or other hard to come by cards, unless those who want to get rid of the FOW are receiving their “equal value” card all the same. Just some thoughts. Action for action. BTW, I’m an avid pucatrader since November of 2014, and although I still believe pucatrade to be the best trading platform today, I’m convinced that it is still relatively new and that other “businesses” that are willing to do it better will arise will come. It’s still important to look into flaws/ possible mechanism design to insure high trader-base and overall satisfaction. >If puca-“sharks” and selling up users become the dominant user-base of pucatrade, and the casuals leave, then their will be a problem. Yep, one reply I’ve seen to this argument is that the demographics of PucaTrade might be changing with its growth in such a way that exacerbates some of these problems. But the fall in the currency price should serve as an equilibriating force, then, as it makes trading up harder and makes various forms of arbitrage which I imagine some users are trying to engage in less-lucrative. He says that they “may not be able to do so again in the future.” regarding refunding us both points for a lost envelope. He says I should probably get tracking (for a less than 200 point envelope? No thanks). I joined PucaTrade in December 2014 and have since traded out over $6,000 worth of cards via PucaTrade. I would have never been able to do this at my LGS or through eBay or other outlets. As a result I’ve been able to get everything I wanted for my Commander, Modern and Standard decks. Just this month I received a playset of Tarmogoyf’s via PucaTrade.